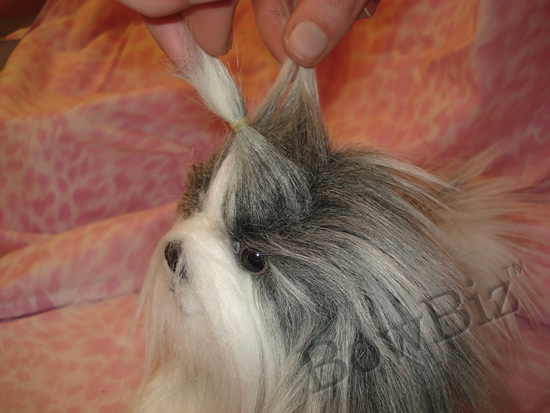 Easy-to-follow, step-by-step pictorial instructions for casual dog bow placement and casual dog bow removal. Learning how to put in dog bows is easy! 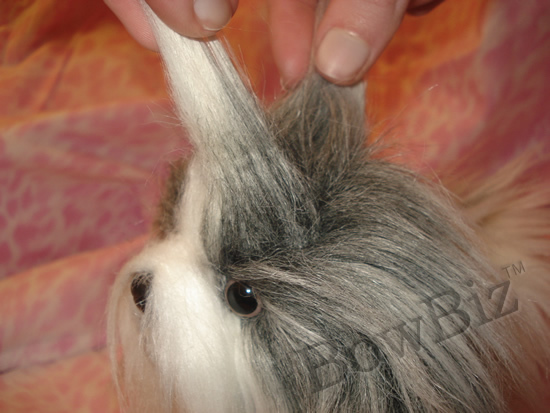 Step 1: Section your furbaby's hair into two parts - front & back. 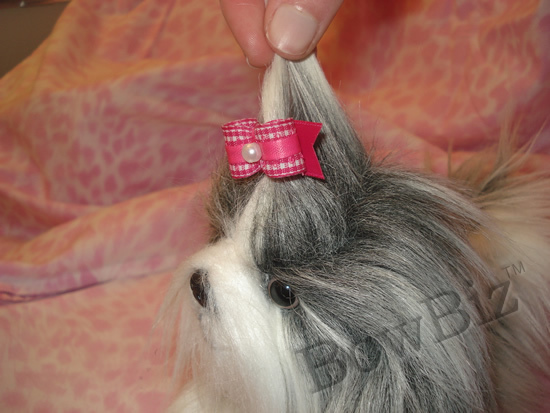 Step 2: Put a grooming band around the front section of hair, wrapping until secure. 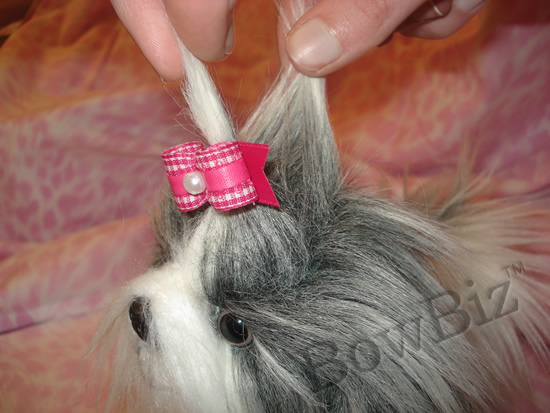 Step 3: Attach your bow to the front section of hair, using only one of the bands provided on the back of the bow. Step 4: Join the back section of hair with the front section. 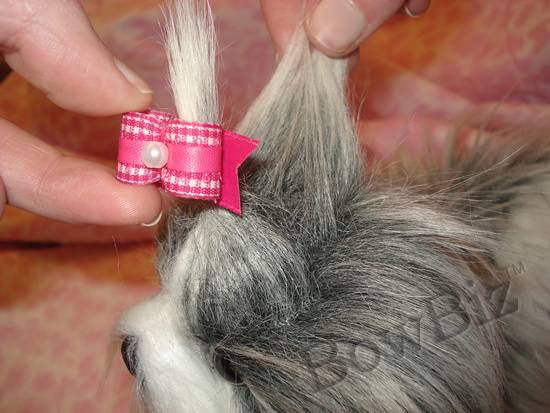 Step 5: Using a second grooming band, attach the back section to the front section (to keep the bow in place). 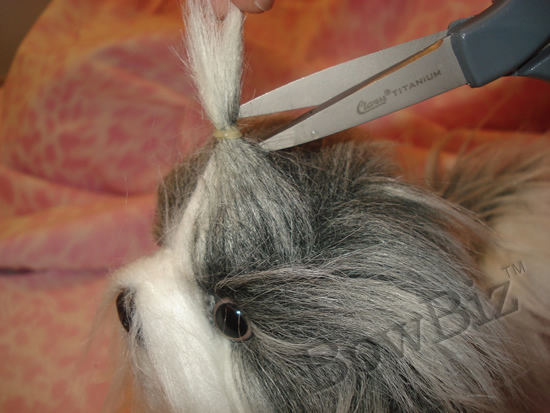 Step 1: Using a pair of band scissors, snip the elastic holding the back section of hair to the front section. Make sure you don't cut the elastics of the bow! Step 2: Carefully remove the bow. 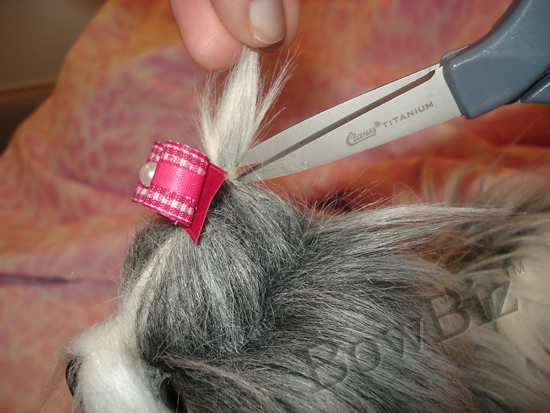 Step 3: Snip the last grooming band from your furbaby's hair. 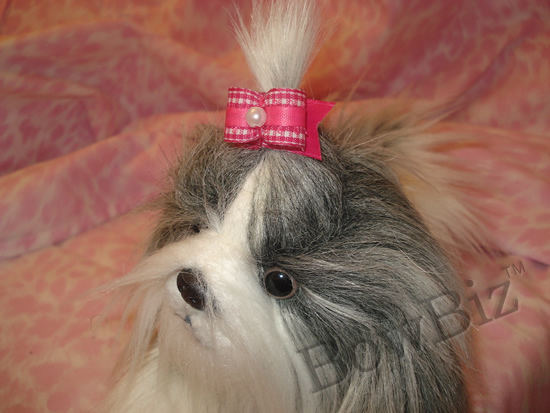 remove a casual dog bow, click here. Unauthorized use of photographs and/or content is legally prosecutable.